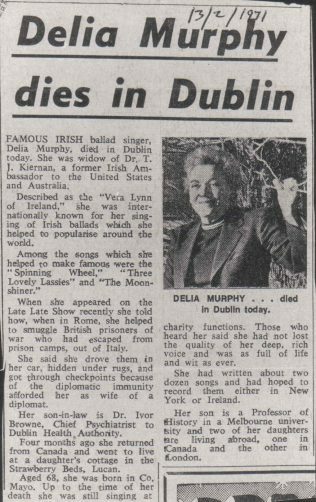 Thinking about my Aunt Delia Murphy; legendary ballad singer and wife of Irish Ambassador, Dr. Tom Kiernan, I feel I am composing an identikit picture of a relation I hardly knew. I have heard her sing and seen her in photographs with the famous and powerful but she invades my consciousness like a flower. She was unconventional, nobody could match her sense of fun and I suppose she had her unhappy times, hidden now in layers of time. 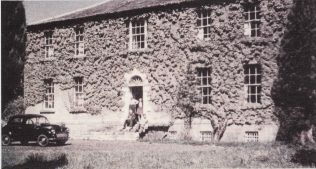 John Murphy’s family were small farmers from the townland of Cloondinnaire in the parish of Crossboyne and Taugheen near Hollymount Co. Mayo. 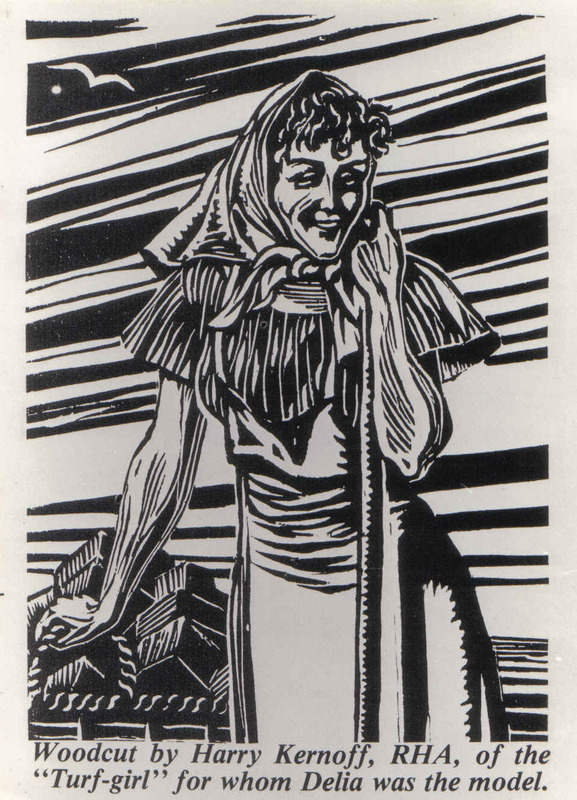 Her father, though born poor, made his fortunes in the Klondyke goldfields and Leadville mines. 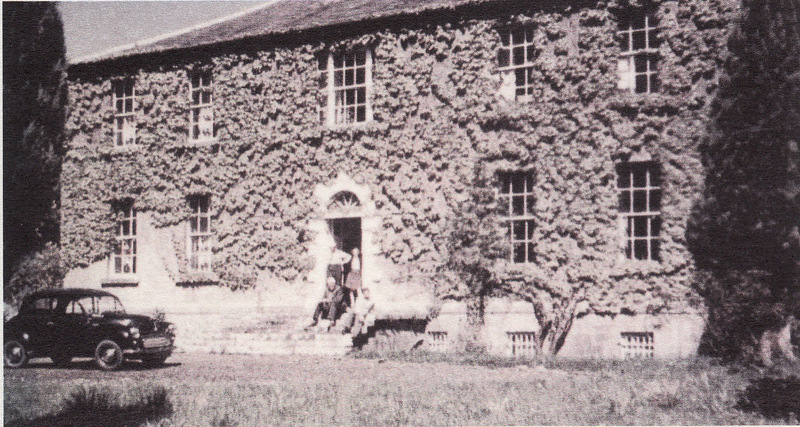 He married Anne Fanning from Dunkerrin, Co. Tipperary in the United States and bought the big house when they returned home. Delia Murphy, Murphs as she was known, was born in 1902 in Mount Jennings, Claremorris, Co. Mayo. The other Murphy children in order of birth were Paddy (1903), Mary or (Baby) 1913 Helen (Nell) 1915, Angela (my mother) 1916, Theresa (Tess) 1918. 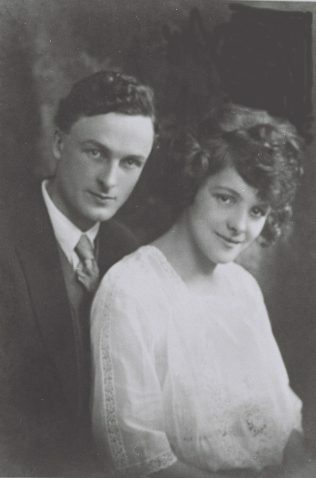 Delia and the rest of her siblings were children of a large and wealthy Mayo farming family.The girls of the family were all accomplished musicians and Delia herself could play many instruments including the piano, violin and harp but did not accompany herself on stage or in the recordings. From her earliest days Delia became enamoured of the ballads of wandering journeymen, minstrels and tinkers singing round the campfires of their locality. Their songs had spirit, truth and guts, Delia decided. Sometimes they might be bawdy but they were never dull and they became an indispensable part of her repertoire. 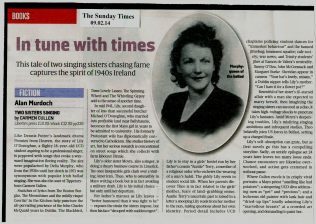 A brilliant student, she was educated in Tuam Convent and Delia took degrees in both Arts and Commerce in University College Galway. There, at a dance she met Dr.Thomas Kiernan, Economist and Author. Shortly after her graduation they were married and when Dr. Kiernan received his first diplomatic appointment, Secretary to the Irish High Commissioner, they went to live in London. She was quick to make friends. Amongst them was John McCormack, the great Irish tenor, then at the height of his fame. 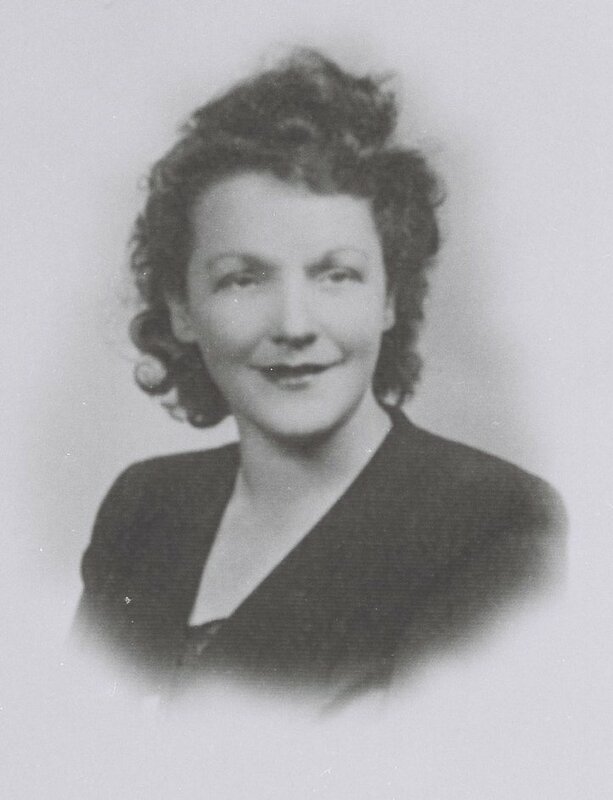 In the home of musician, Herbert Hughes in London, McCormack asked her to sing a Gaelic song, Una Bawn. At the same party a representative of HMV was so impressed he offered her the opportunity to record some Irish ballads. Her recordings became numerous, including such well known favourites as “If I were a Blackbird” and “The Spinning Wheel”. Later on records like “Three Lovely Lassies from Bannion”, “The Moonshiner” and “Dan O’Hara” wafted daily over the airways of Radio Eireann. Delia and my mother both recorded on His Master’s Voice in the nineteen forties and early fifties -she went on to become a celebrity while my mother took a different career path. 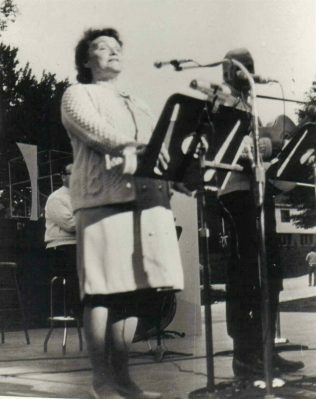 Her fame spread and if Dr. Kiernan’s illustrious diplomatic career brought the family all round the world, her singing and personality attracted equal attention. 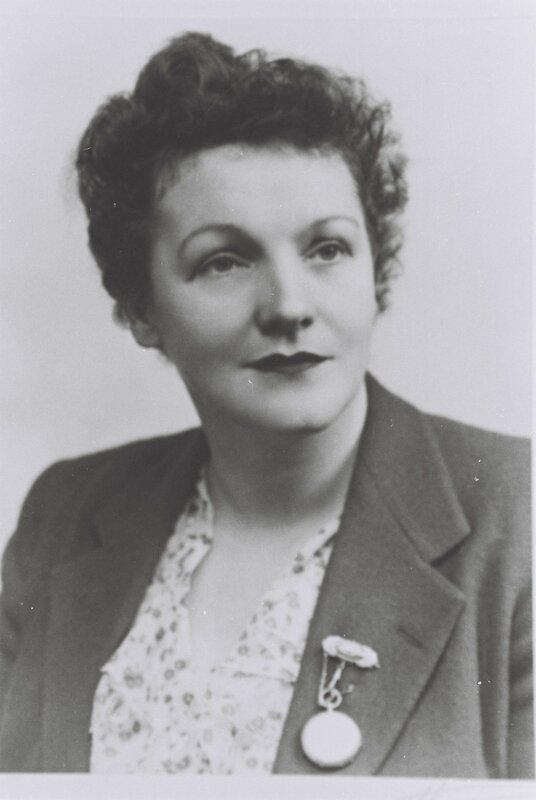 In 1941, towards the end of the war, Thomas Kiernan was appointed Ambassador to the Vatican and Delia gave a farewell concert in the Father Matthew Hall. She looked beautiful and sang brilliantly. Europe was embroiled in the horrors of war, and it must have seemed to some listening it was the last time they would hear her and they lapped up every note and gesture. 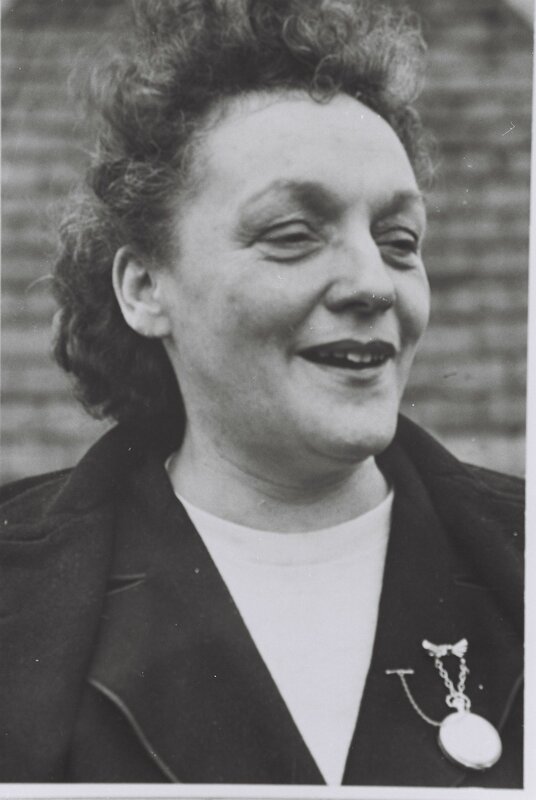 It was not the end for Delia and her personality and courage shone out even in German occupied Rome, dining with the Germans while helping to get out her escapees. Liam Clancy saw Delia Murphy as a pivotal figure in Irish music because she transformed the Irish balled into what we have today. She was responsible for giving songs she discovered on the highways and byways of Ireland a nationwide appeal and encouraging a generation of musicians to do like-wise. The legacy has remained with us ever since. The only occasion I did meet my Aunt was on a visit of hers to our family hotel in Templemore, Co. Tipperary. 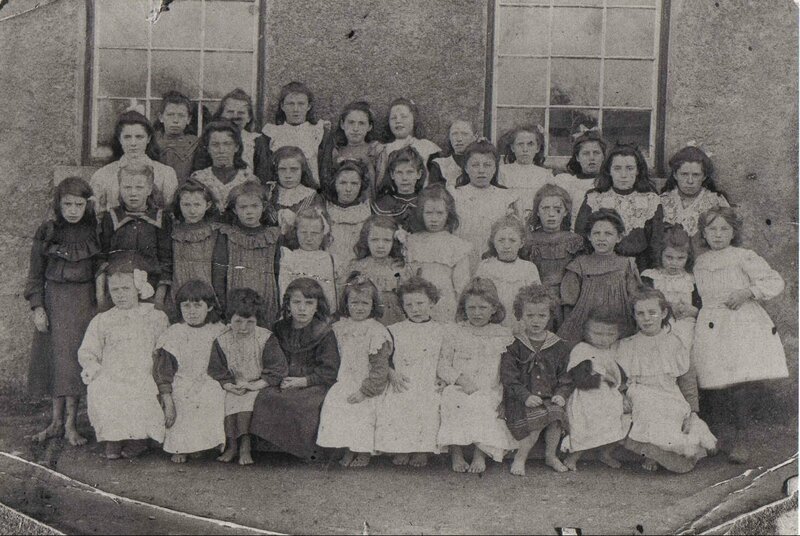 The hotel was spick and span for the occasion and we children were scrubbed and shining too. I was not allowed to go to the train to pick her up. There isn’t room in the car I was told, she’ll have too much luggage and though I threw a tantrum my father stuck to his guns. I recall waiting patiently at the top of the stairs for her to appear. At last laughter and voices came from the street. She made a grand entrance and I ran down the stairs to her open arms. I experienced awe, that such a gorgeous, scented person had come into my life, that she was my aunt and that she had bent down to greet me at my own small level. I have been feeling the same awe ever since. Her most famous song is “The Spinning Wheel” while my favourite is “If I were a Blackbird”. I love the story of it and it is a song full of feeling and the hope engendered by first love. It has a pleasant rhythm that evokes the sea. 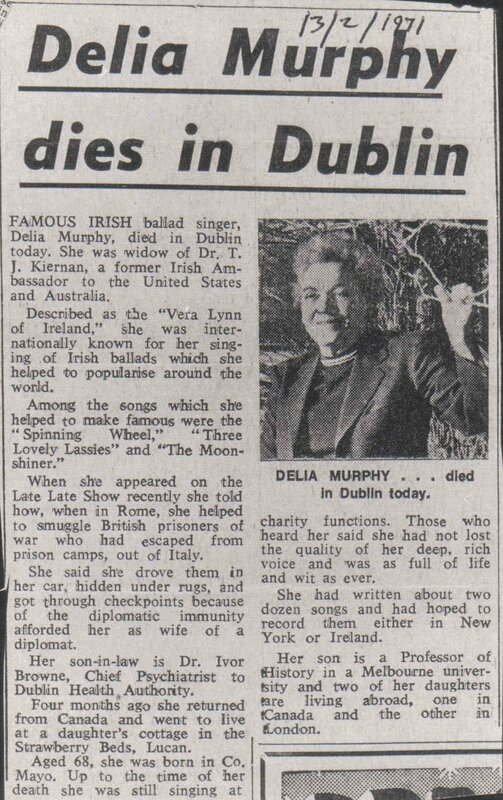 Delia Murphy died in 1971 and is buried in Deansgrange Cemetery, Dublin. Ar dheis De go raibh a hanam.